Have time to wait until January to get after your resolutions? The deadlift is a complicated movement to master but is so worth doing. Power athletes, endurance athletes, hell all human beings can benefit from picking heavy things off the ground. Along with focusing on the lift during our classes we will host a challenge during the month. We will be testing your 5 rep max lift at the start of the month and will test again at the end of the month to track your progress. We will announce winners at the end of the month for maximum load, most improved and highest percentage of body weight lifted with male and female categories. 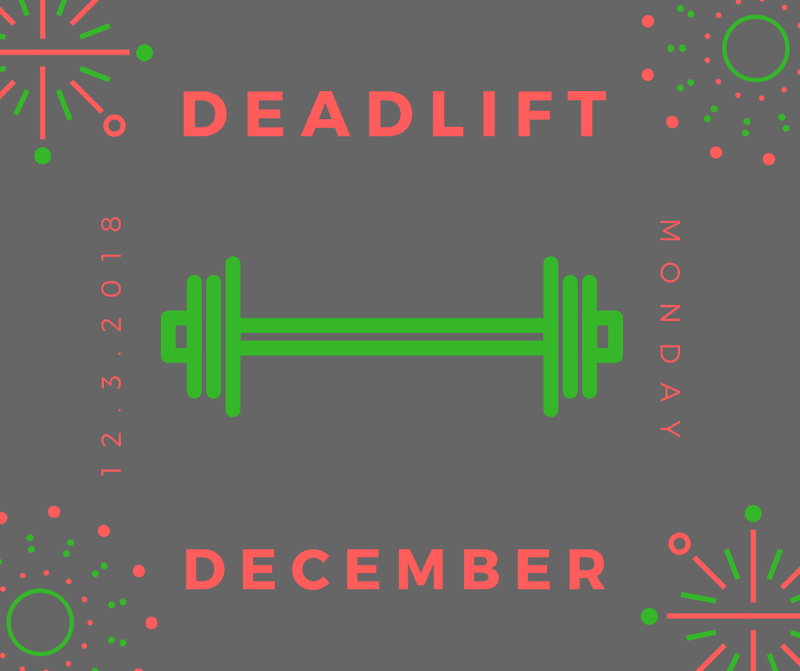 Whether you are trying to increase your max deadlift or just dial in some technique to ensure you are lifting safely, join us for Deadlift December.